The most successful organizations require continual renewal and focus in their journey to success. Winship is no exception, especially with its significant scale and dynamic pattern of patient care, research, and teaching. Every three to five years, Winship has undergone a rigorous process of strategic planning designed to reinvigorate its focus on developing better preventive and therapeutic measures to eliminate cancer. The current Winship strategic plan, spearheaded by Wally Curran, will serve as the roadmap to guide Winship and its priorities for the next three years. Winship will advance its status as an elite cancer center in cancer innovation and discovery as measured by its total National Cancer Institute funding. 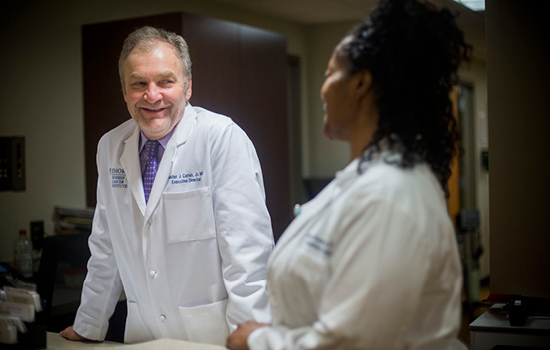 Winship will educate, train, and mentor professionals and trainees engaged in Winship cancer research and care in preparation for leadership roles in these realms. Winship will strengthen its unified, research-driven patient- and family-centered care experience in consistent delivery models which are value-driven, scalable, and sustainable. Winship will lessen the cancer burden in Georgia by applying its research findings to specific cancer challenges within Georgia, especially those challenges among historically underserved populations. Winship's financial and programmatic alignment with Emory will enable the optimal Winship structure for success and growth.